Day or night, these earrings work for every occasion! 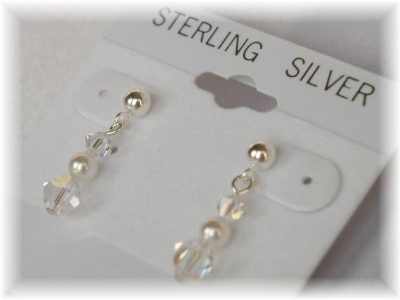 Swarovski crystal* and pearl drop earrings on sterling silver posts. 7/8" long, perfect for every age and occasion!